University of Lagos, UNILAG Complete Academic Outfit (Gown, Hood & Cap), Certificate Folder and Convocation Brochure payment procedure for graduating students. Ahead of the University of Lagos, UNILAG forthcoming Convocation Ceremonies, all graduating students who wish to be part of the academic procession at the event are to make payment for academic gown. See also: UNILAG Convocation Ceremony Programme of Events. Payment procedure for ALL graduating students for the collection of Complete Academic Outfit (Gown, Hood & Cap), Certificate Folder and Convocation Brochure. Academic outfits should be returned on or before Friday, 15th, June, 2018. All graduants are expected to collect their certificates within three months after convocation. Failure to, collect will attract a demurrage of N50 per day. Academic outfits will be available at the College, School of Postgraduate Studies, Faculties, and the Distance Learning institute. 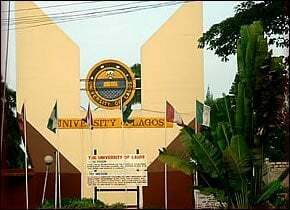 Graduating Students are to pay for academic outfit, brochures and certificates by accessing the University website (www.unilag.edu.ng), complete the form under Unilag payment portal (student category). Thereafter, students are to proceed to any bank of their choice with the Remita Retrieval Reference (RRR) generated, for payment as appropriate. Copies of bank teller and payment advice bearing bank confirmation should be taken to the Faculty for gown collection. Each graduating student is entitled to two invitation cards. The invitation cards and a complete set of the academic outfit made up of gown, hood, cap and scroll, would be available for collection on presentation of receipt/teller for payment at the College/School/Faculty/Institute as appropriate. Convocation Brochure and Academic outfit are to be collected at the various locations earlier mentioned. Graduants should attend the convocation at the time allotted to them. N.B: Graduating Students are expected to complete their registration seven (7) days to the convocation ceremonies, indicate their interest to attend and comply with car park instructions. The Vice-Chancellor, Professor Oluwatoyin T. Ogundipe, FAS on behalf of the entire University community congratulates all graduating students. Please be assured that certificates would be ready for collection immediately after each ceremony upon the presentation of ALL necessary clearance. Wishing you all blissful ceremonies. Pls how do I access convocation list for the 2017/2018 coming up on 1st-5th April, 2019. FEMI.